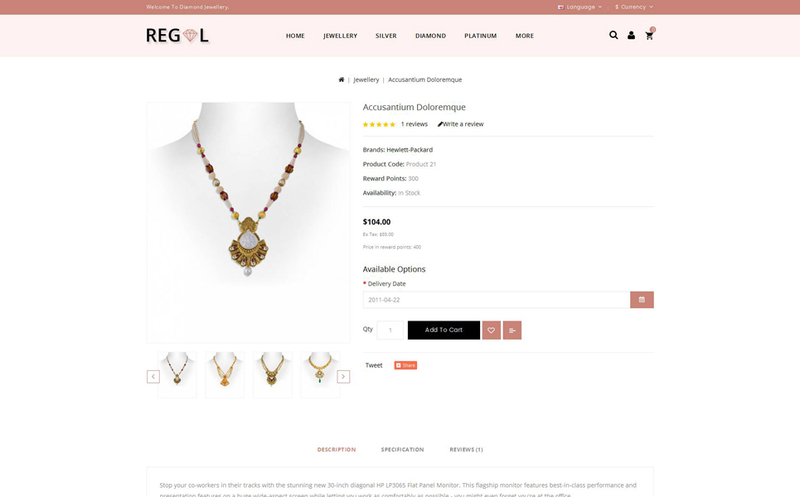 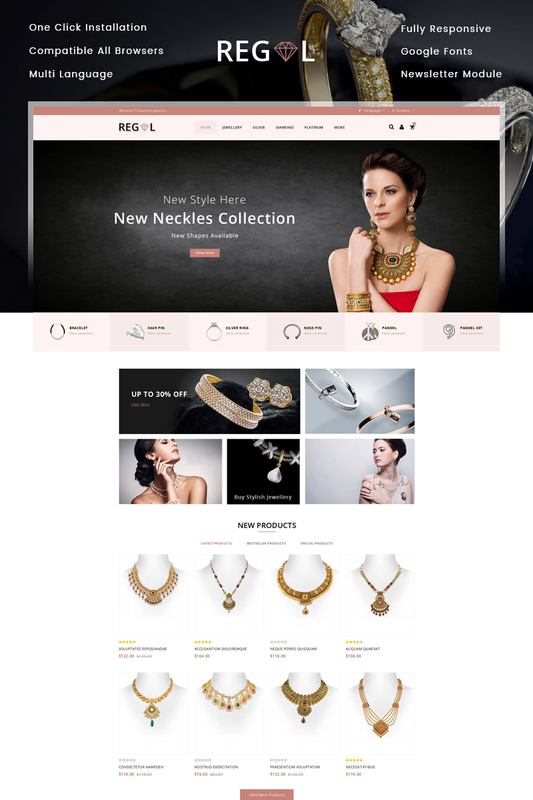 Regal Jewel Store opencart responsive theme with fully customizable features and designed for any kind of e-commerce store. 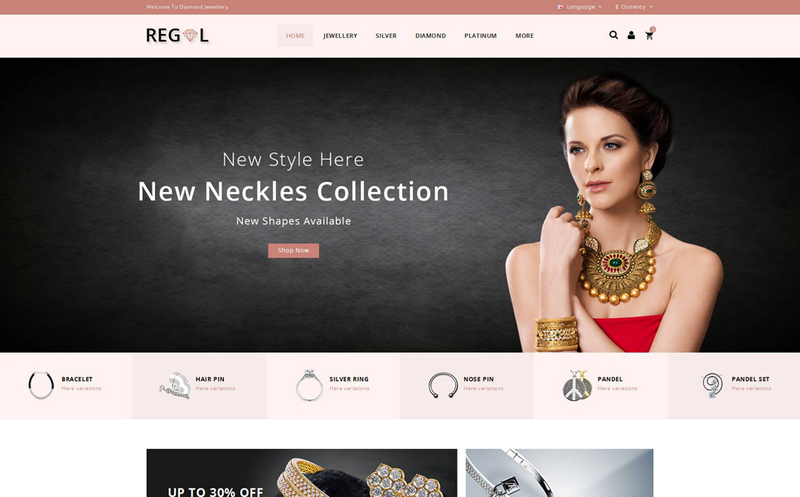 This theme is specially design to sale products like Jewelry, Diamond, Fashion, Accessories, Bags, Gifts and multi purpose stores. 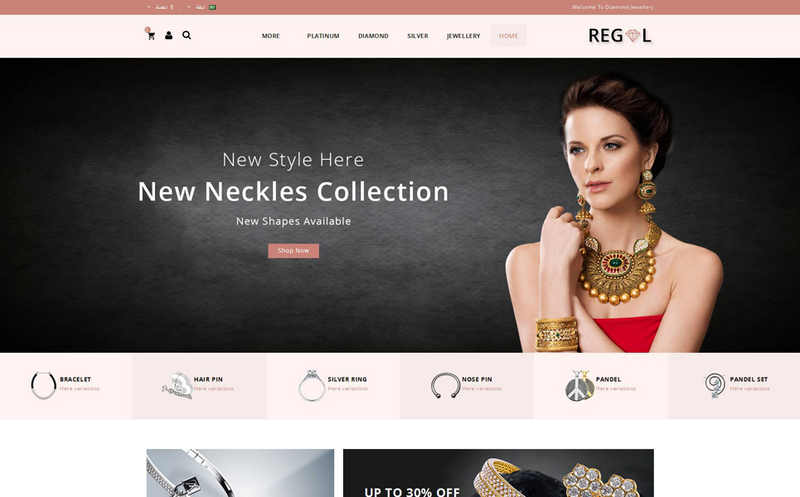 This theme is 100% responsive which means that no matter the device, your store will scale beautifully to suit each device each browser. Also multi-lingual & multi-currency support for your customers from other countries. 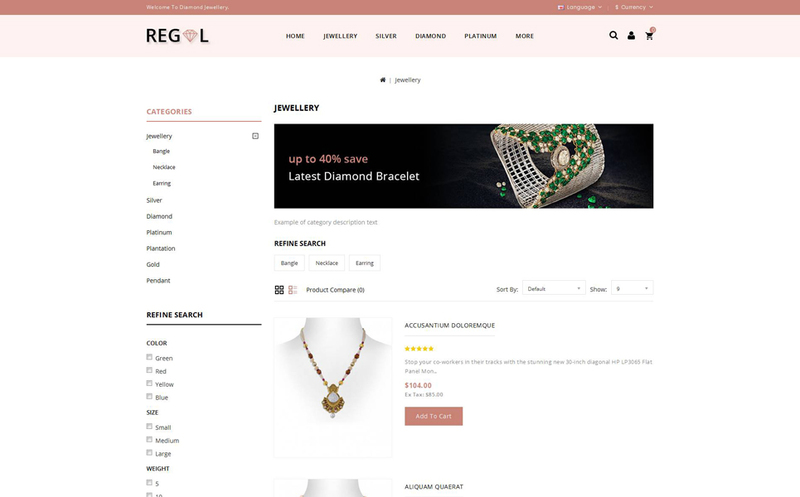 We provide quick start files to install this theme on your store with just one click with all content and images like our demo store.